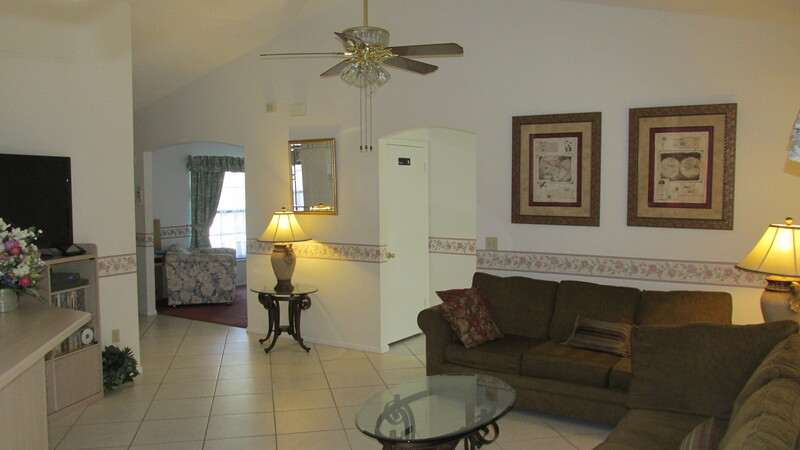 Our spacious 3 bedroom, 2 bathroom villa is located on the quiet countryside estate Indian Ridge 3 miles southwest of Disney. The south facing pool is solar heated, a well stock garden and a forested area to the rear provides privacy. 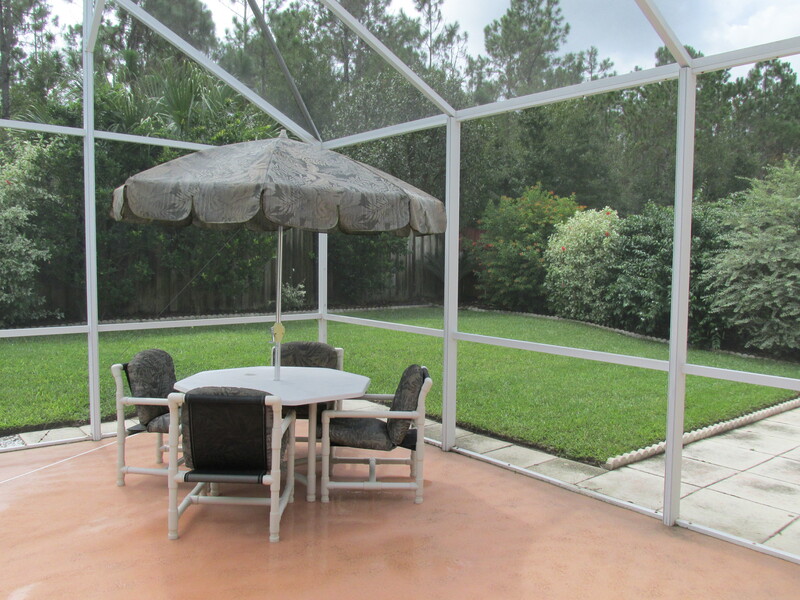 The 30ft x 15ft pool and lanai is fully screened and equipped with a range of outdoor furniture and barbeque. 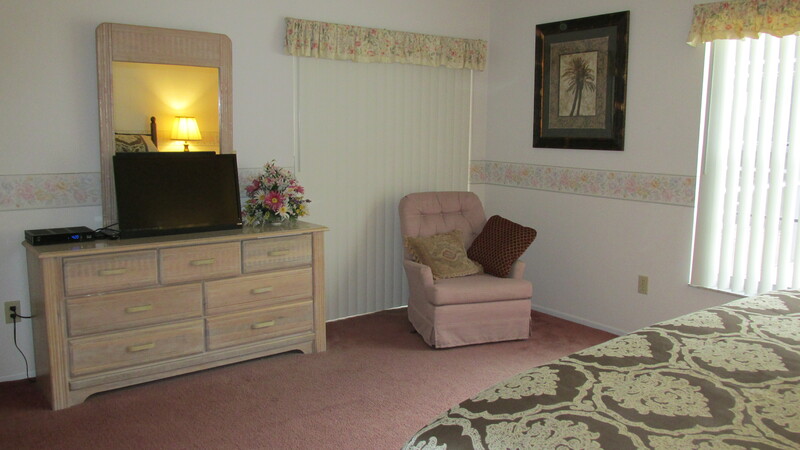 There is a large high ceiling family room and separate lounge both with 46"/32"HDTVs (200+ channels), dvd players and 100+ dvds, hi-fi and music cds, wi-fi, Playstation 2 and games. 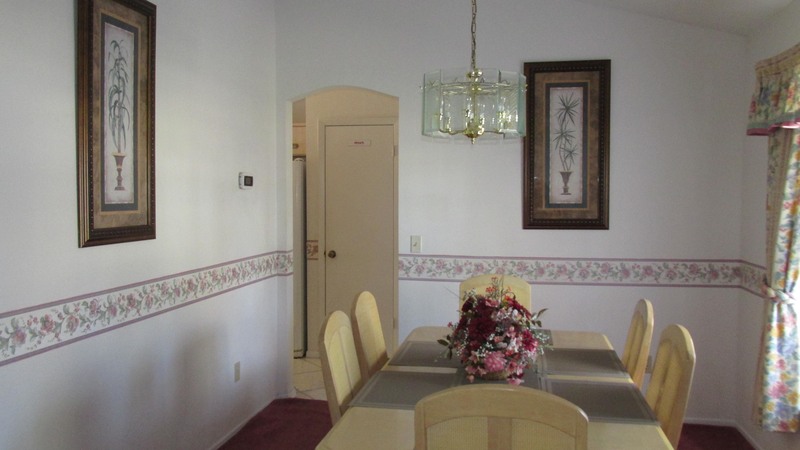 There is breakfast area and separate dining room. 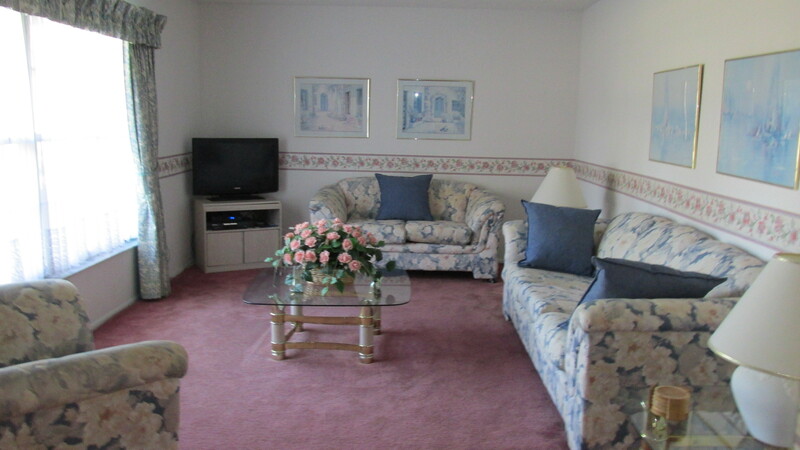 The villa is air-conditioned/heated with additional fans in most rooms. 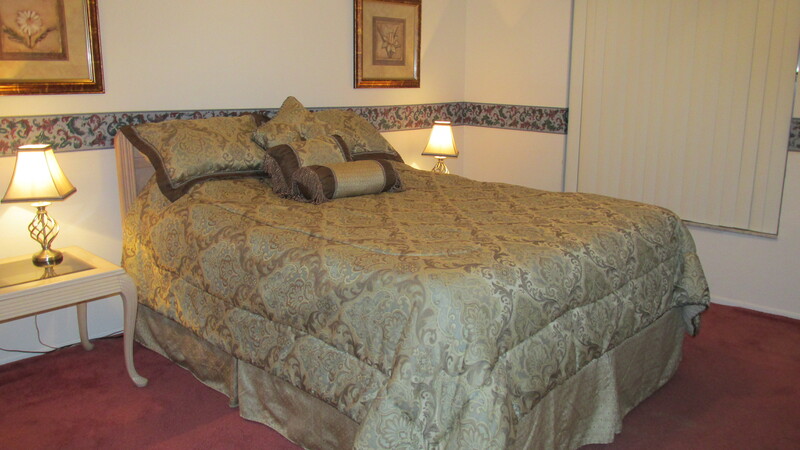 The spacious master bedroom with US king pillowtop bed has an ensuite, 29" HDTV, telephone, clock radio, the second bedroom has a US queen pillowtop bed, the third bedroom has twin beds, both bedrooms have 26" HDTVs, clock radios and plenty of storage. 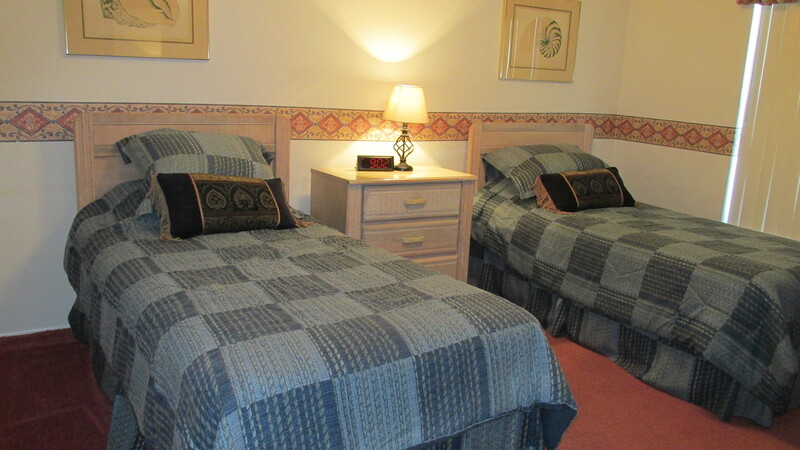 Our villa sleeps a total of six plus up to two children in cots. Well established gardens front and rear on a plot size of 80ft x 120ft. 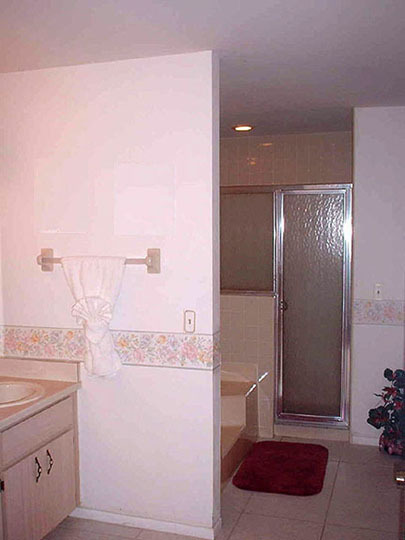 The double garage has internal access and a electric operated door lift. 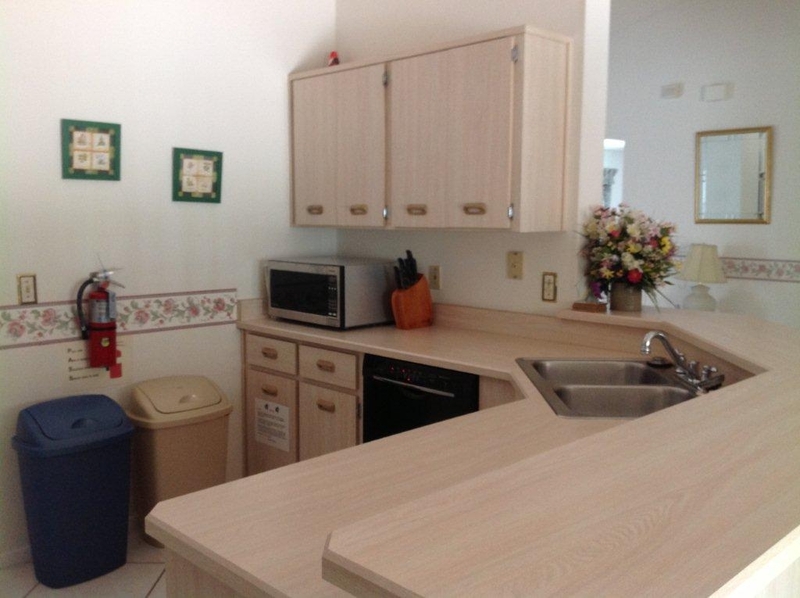 Fully equipped kitchen and laundry. 24/7 monitored security system, smoke and CO2 detectors, personal safe. Two travel cots, two highchairs, two strollers, car safety seat and car booster seat available free of charge. 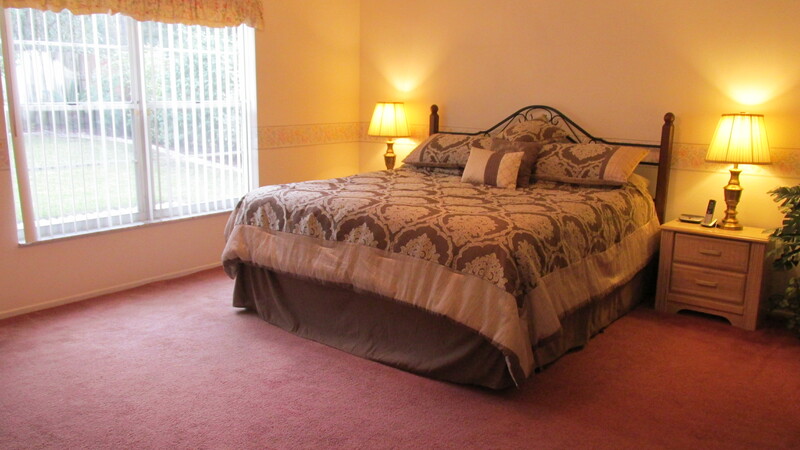 Indian Ridge is located very close to Disney, and is less than a 10 minute drive to Animal Kingdom. 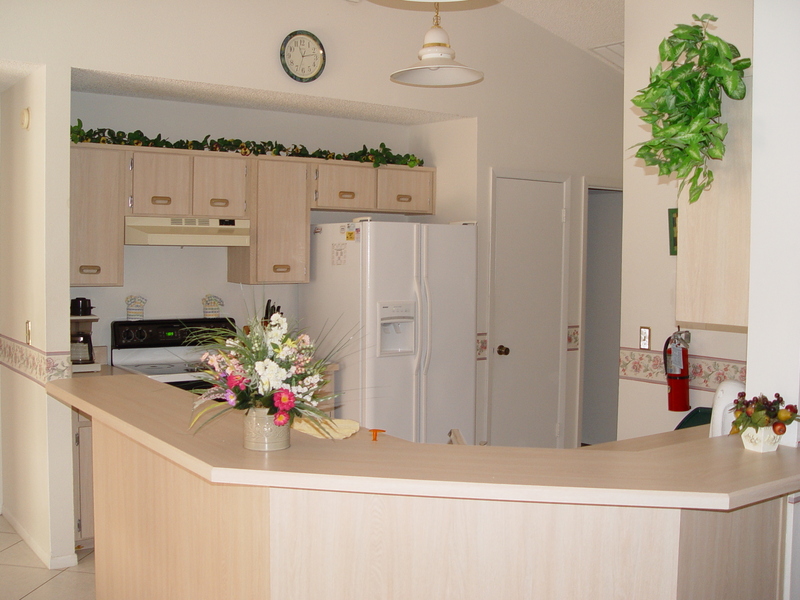 It lies next to the Mystic Palms golf course and is very convenient for both golfers and park hoppers. 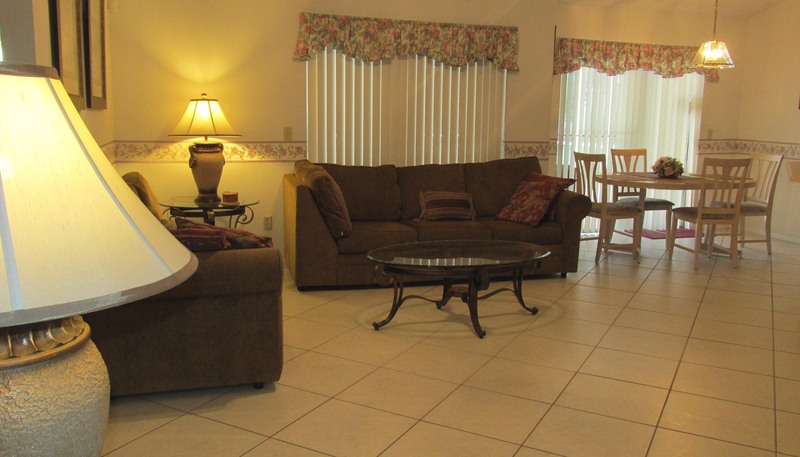 Indian Ridge offers a community pool with a shaded deck, tennis courts, basketball courts, and a playground. 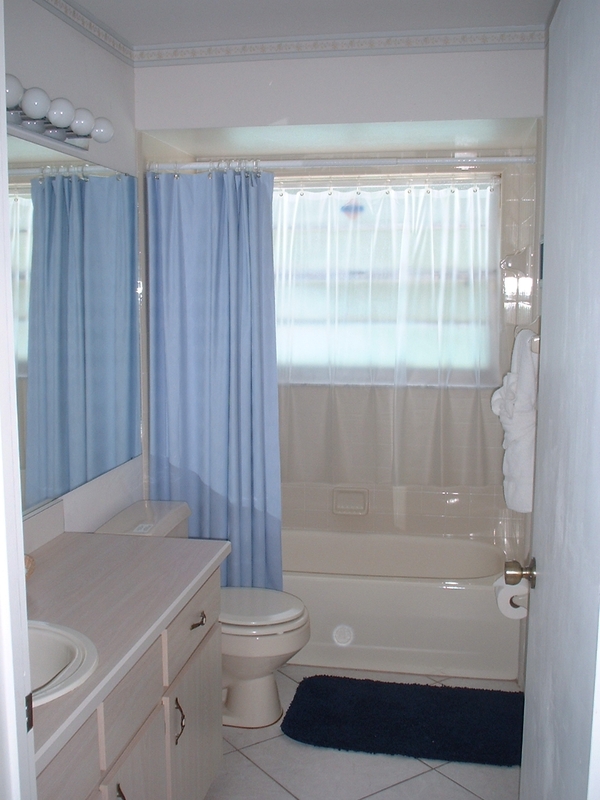 It's situated just 5 minutes from plenty of shopping areas and restaurants. 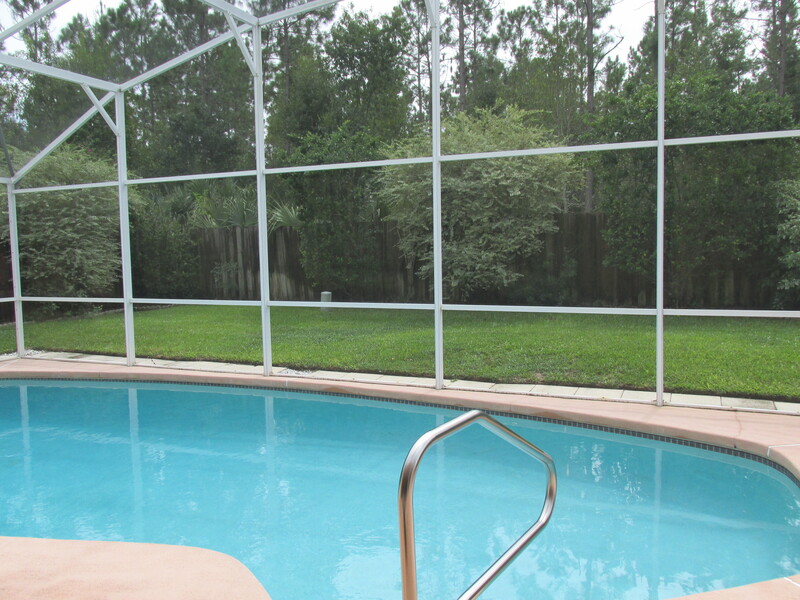 Indian Ridge offers self catering Florida holiday homes to rent, all with there own private pool. Indian Ridge is one of the closest communities to Disney World, making it an ideal place from which to explore all this area has to offer. The roads on Indian Ridge are all peoples names with a circular road going the entire way around the community. There is a child's play area at one of the entrances to the community. 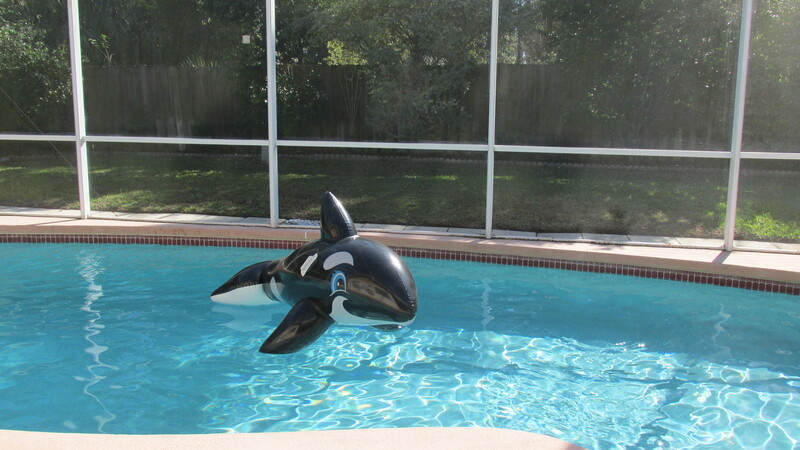 The location is also convenient for all the other Central Florida attractions, with good road links to both coasts. 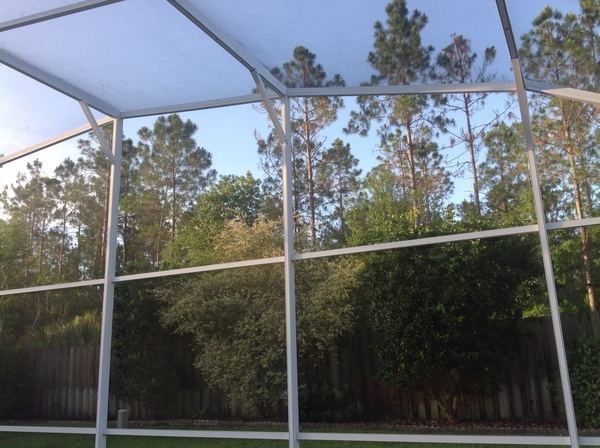 Whilst most vacation rental homes have private pools, Indian Ridge also has a community pool, together with tennis courts, children's play area, volleyball, baseball diamond and football field. 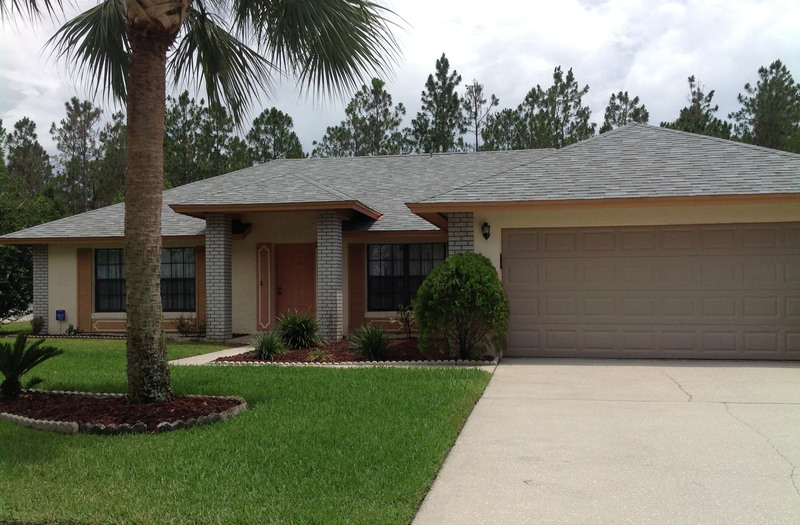 Orlando4Villas opinion, Indian Ridge Kissimmee offers much for the family coming on vacation to the Orlando / Kissimmee area. Indian Ridge is close to shops, supermarkets and restaurants it's a great location to explore all the Orlando theme park attractions. 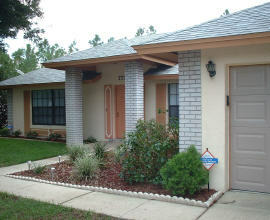 Orlando4Villas has the large selection of vacataion homes available for rent in Indian Ridge.